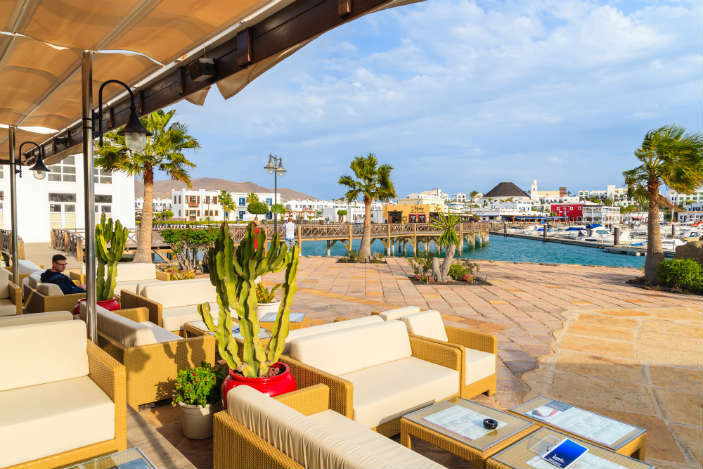 Puerto Del Carmen is Lanzarote’s oldest and biggest resort, most popular for its fun bars, pubs and nightclubs. 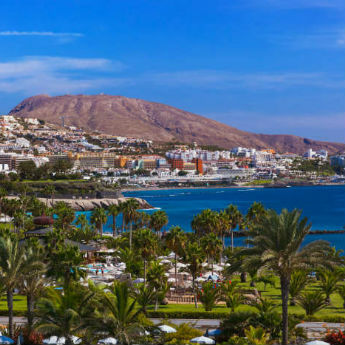 On an evening most of the revellers gather at Centro Atlantico, a huge complex that includes many of Puerto Del Carmen’s most popular bars including Charlie’s and Tequila Bar, and there are also several Irish pubs. 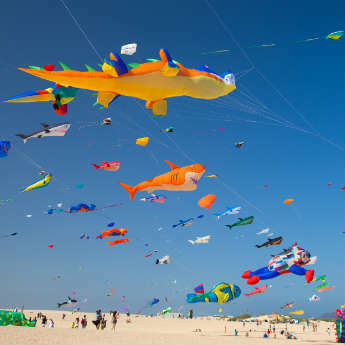 During the day you can snooze away your hangover on the spacious beach, or try some watersports. Playa Blanca is a big resort but has maintained an air of sophistication, mainly due to the large marina that has become the focal point of the resort. Expensive yachts come to dock here, and the marina is bordered by exclusive restaurants and stylish shopping boutiques. A lot of delicious seafood restaurants and trendy cocktail bars can be found on the seafront promenade, and the accommodation is mainly private villas with their own pools. 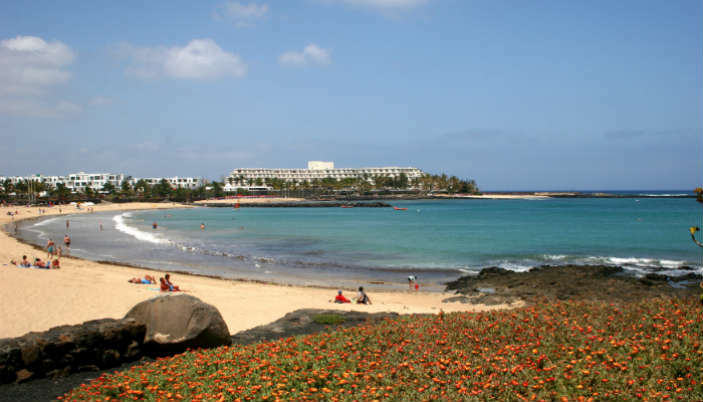 Costa Teguise was Lanzarote’s first town that was purpose-built especially for tourists, and consequently it has all the facilities that visitors could want. 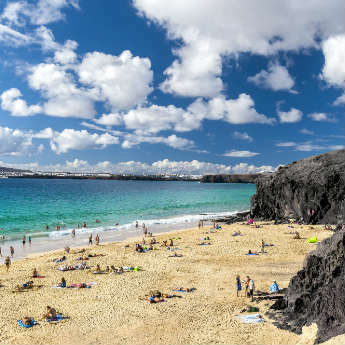 Some say it lacks the character of Lanzarote’s older towns, but it’s hard to argue with the great beaches and excellent amenities that make it so suitable for tourists, especially young families. There’s a golf course, water park and aquarium on the doorstep, and plenty of tour companies to arrange day trips around the island. 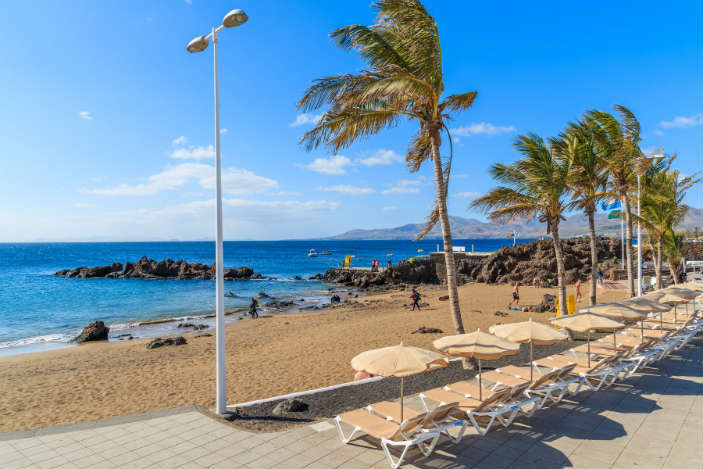 Matagorda is Puerto Del Carmen’s quieter neighbour, a relatively new resort with a more laidback, relaxed atmosphere than the high energy resort next door. Matagorda has a long waterfront promenade and a gorgeous beach, with the neighbouring beach at Los Pocillos a great alternative just a short walk away. It might be more laidback but this doesn’t mean you have to sacrifice your exciting evenings – Matagorda also has a great choice of restaurants, bars and pubs in which to spend your nights.